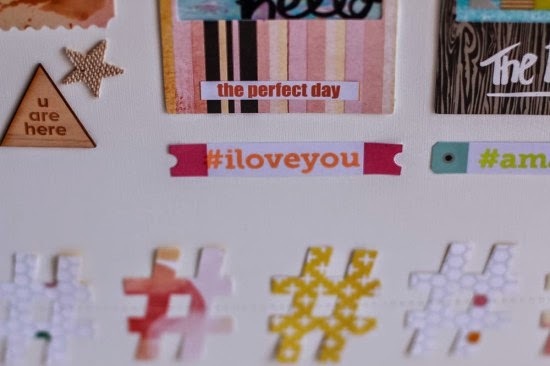 This month the Scrapbook Circle challenge is to use hashtags. I kind of love them. So I decided to use them as a design element on this layout using the main kit Hello There and add on Take Note. 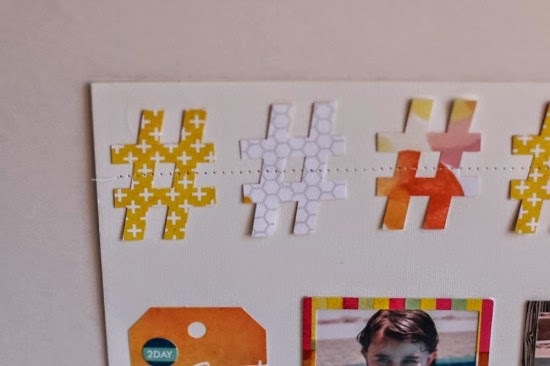 I die cut a bunch of hashtags with several of the patterned papers and sewed them on top and bottom of the layout. And those cool hashtag stamps that I stamped on the Chic Tags stickers? 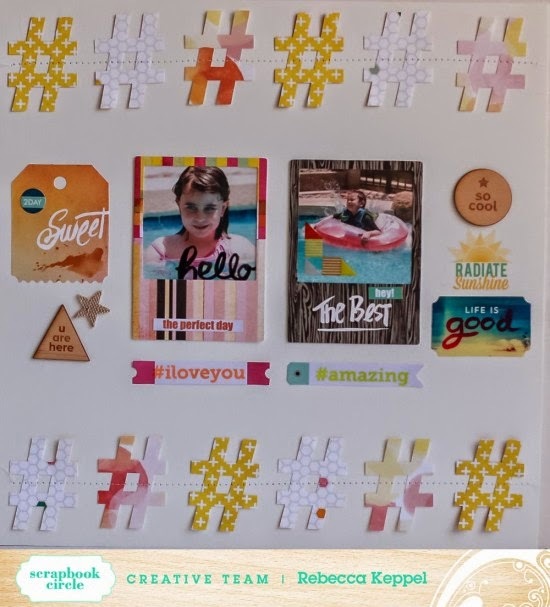 Those are exclusives in the Scrapbook Circle main kit! 1. Create a layout incorporating hashtags. 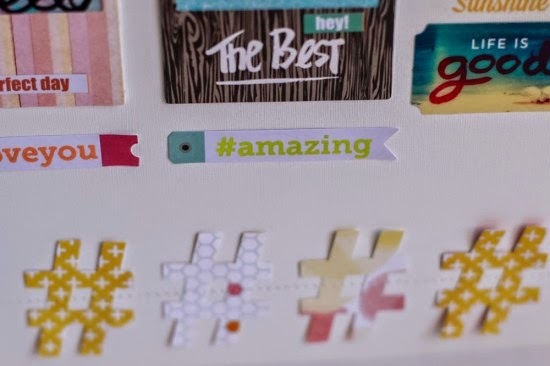 We would love to see a Scrapbook Circle kit in action, but any materials will do. 2. 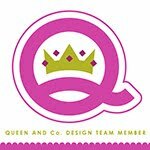 Post your layout to your blog, our Facebook page, or an online gallery. Come back to this post and leave a direct link to your layout in the comments.